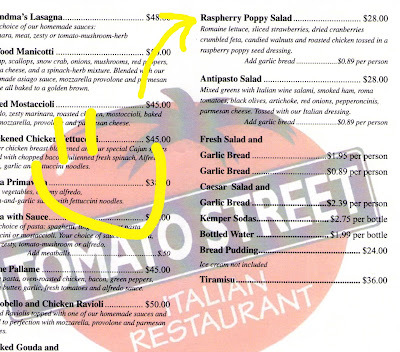 I wonder where the raspherries found in the Raspherry Poppy Salad at Tomato Street Italian Restaurant in Coeur d'Alene, Idaho are grown. Is it a secret crop that's fertilized with Rogaine and Miracle Grow? 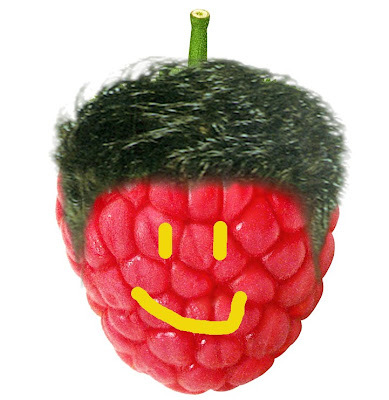 When ordering the Raspherry Poppy Salad, does the waitress ask "Blond, Brunette or Redhead?" 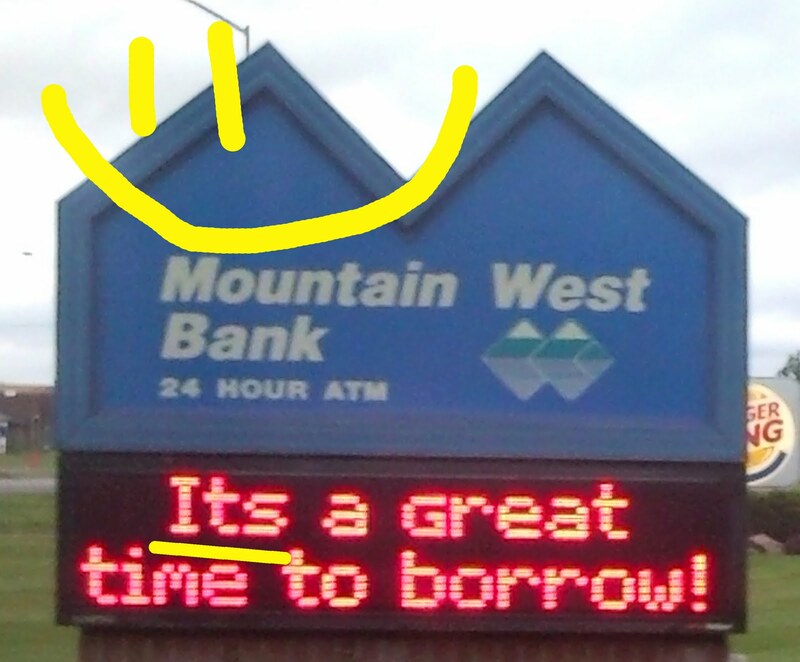 Thanks to Vanessa and AJ for spotting this delicious Spelling Disaster! Urgent Care Needs Immediate Spell Check! I think it is necesary for these two merging clinincs to find themselves a spell check program STAT!! 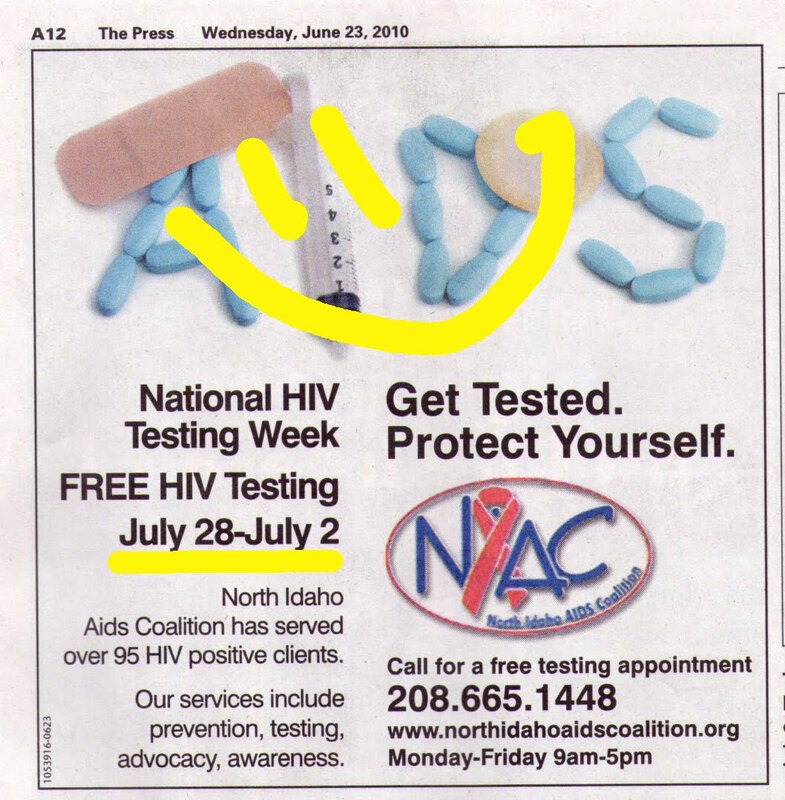 These ads appeared on separate days in the Coeur d'Alene Press. Their content is slightly different, so someone had to have looked at them more than once. 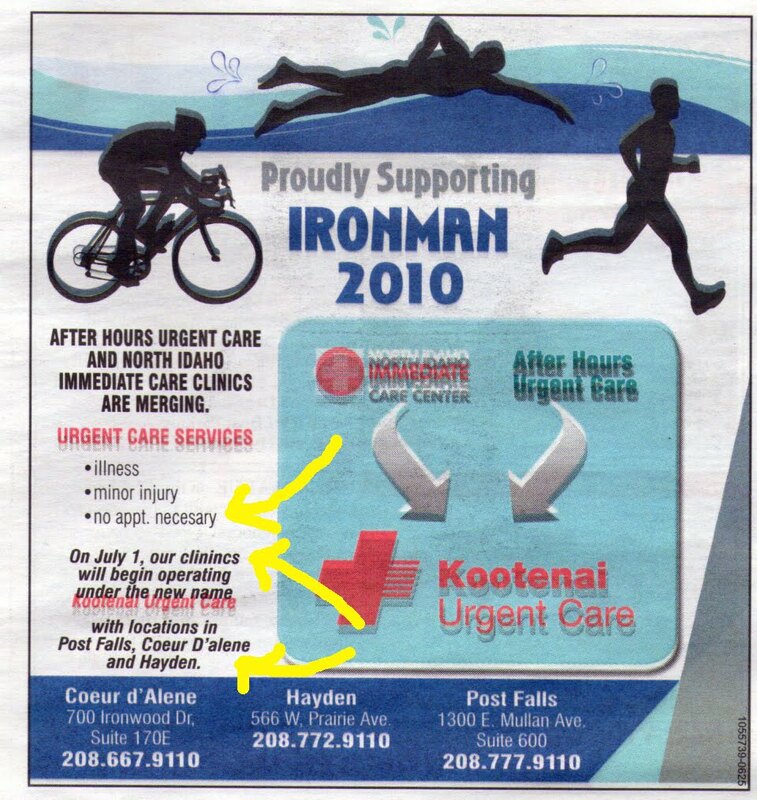 Maybe the ad designer was wearing eyepatches after a visit to one of the clinincs so failed to notice the glaring Spelling Disasters. 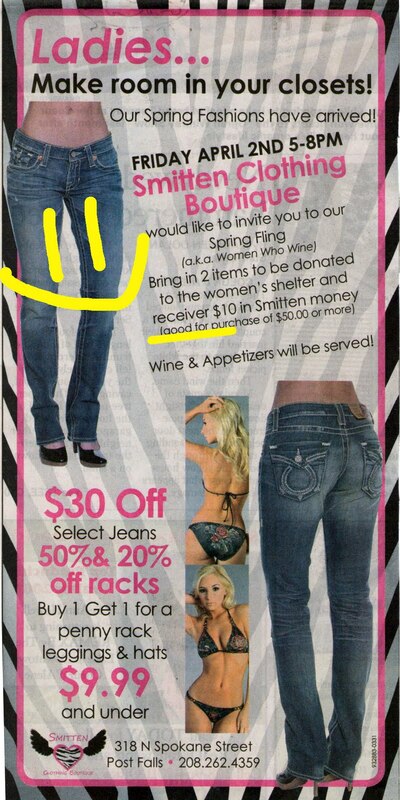 Maybe the KUC marketing director was too busy doing Urgent and Immediate things to notice the errors in a proof. Whatever the reason, as Bones McCoy would say: I'm a doctor, not an English major! Really, that is One Long Week!! 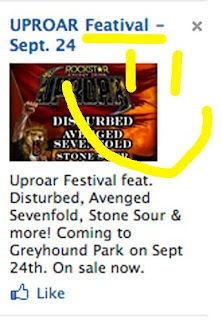 Thanks to Brittany for pointing this out! And for mentioning that it could be found right next to the photo of Unicorn Meat. After dropping a box of old towels, blankets and sheets at the Kootenai County Humane Society, I came across this sign on Wyoming. 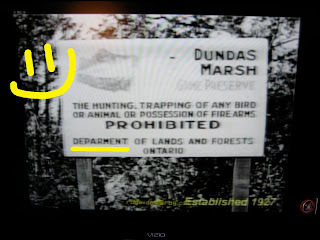 The sign is weathered so it's been there for quite awhile. Do you think anyone has ever let them know they don't know how to spell what they're selling? 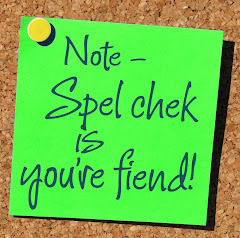 Or maybe this falls into the "if it's spelled wrong enough times, it becomes right" category. Spagetti anyone? How 'bout a bit of Chrsitmas? Who needs a stinkin' apostrophe? 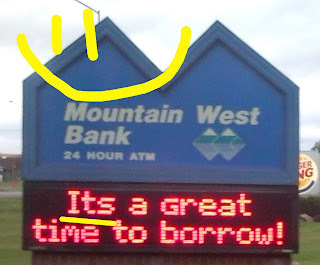 I don't know if I want to borrow money from a bank who forgets apostrophes. Will they forget to apply my payments? Will they forget to keep my personal information secure? Will they forget to give me the money??!! 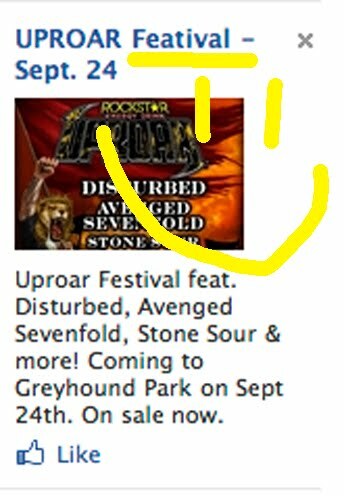 UPROAR Featival is festuring Disturbed, Avenged Sevenfold, Stone Sour and more!! Do They Make a Vase For These??? I wonder whether they would look better on the kitchen table or in the entry. I wonder if they're cheaper by the dozen. I wonder if it would help to put those preservative packets in the water. I wonder if they will bloom soon. Captured at 115th and Allisonville Rd. in Fishers, Indiana. 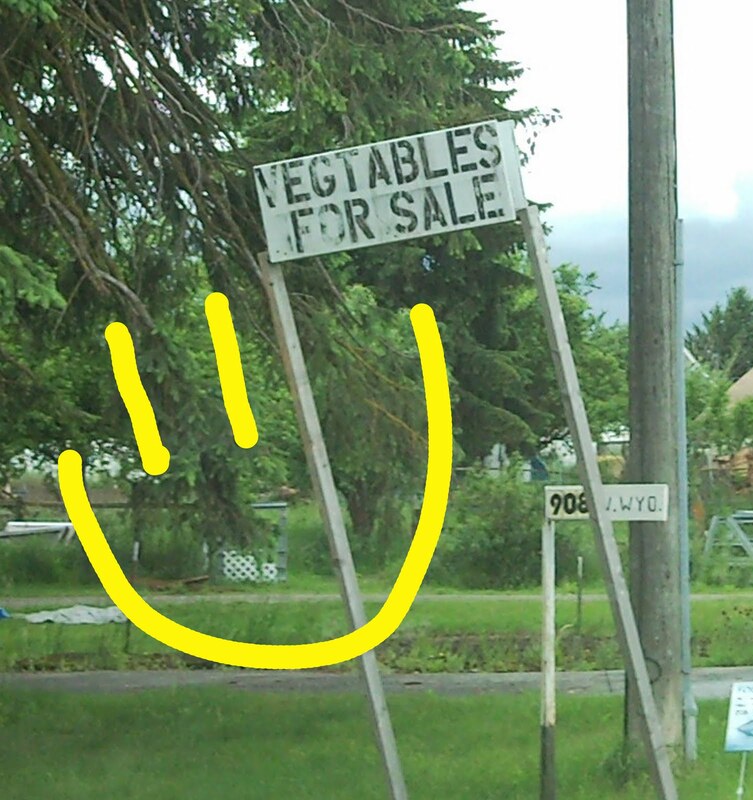 The sign was up for two hours before someone stopped and told them how to spell PEONIES. 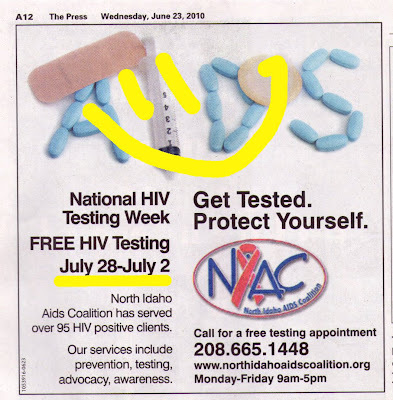 An Add is Like an Ad With A.D.D. Have You Ever Met a Mooze? 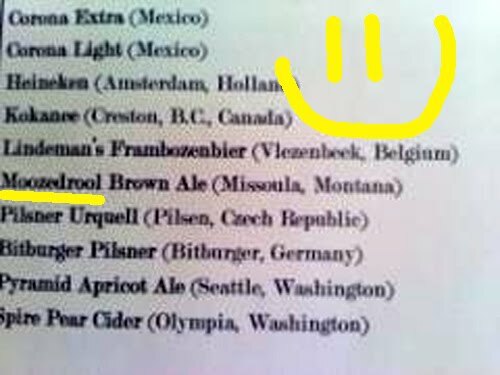 While enjoying an evening out at Bardenay Restaurant and Distillery in Coeur d'Alene, submitter Jessica spotted this Spelling Disaster on the beer menu. I think they were so thrilled to have spelled Frambozenbier correctly that they dropped the Moose Drool ball. But heck, what's a little misspell, lack of space and forgotten capitalization when you're talking beer?? Heck again! 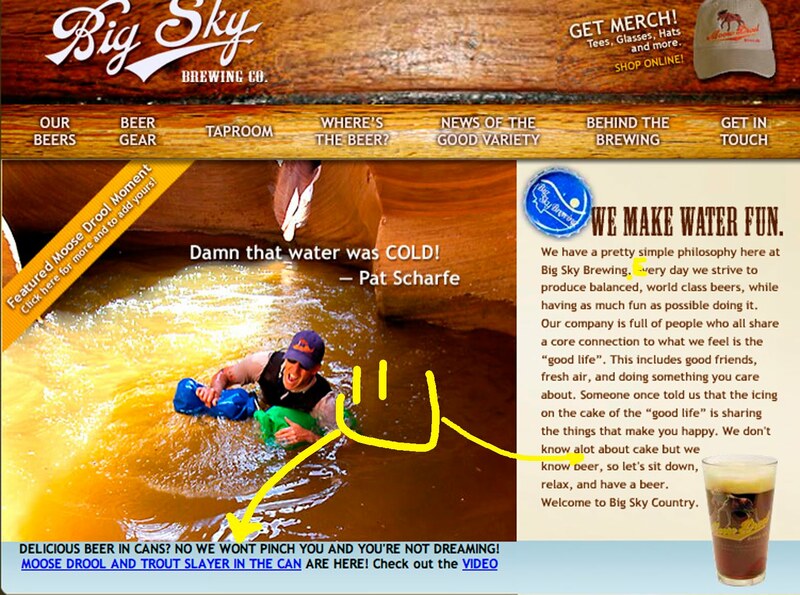 Big Sky Brewing certainly doesn't seem to care a lot about spelling or grammar on their website, so why should we? Let's just go have a beer and forget about it. This Spelling Disaster was established in 1927 by the Deparment of Lands and Forests in Ontario, Canada. I'd love to know if they ever caught their boo boo. 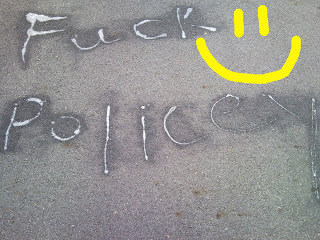 While out on a bike ride yesterday I came across this statement of discontent "painted" (with what, I don't know) on the road. 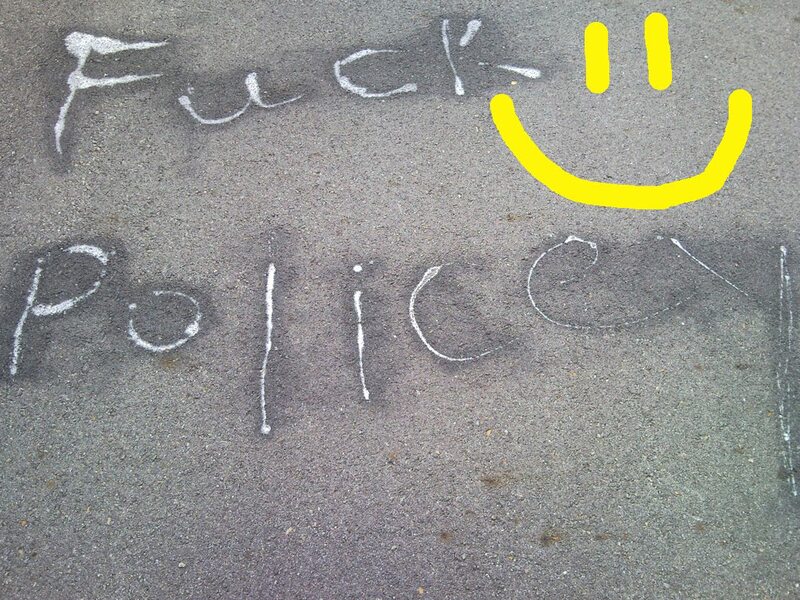 Is the author of this piece of graffiti angry with the police? Maybe he/she doesn't like policy. Or, as my husband is sure of, the road artist has a deep seated hatred of Nancy Pelosi. EEK!! 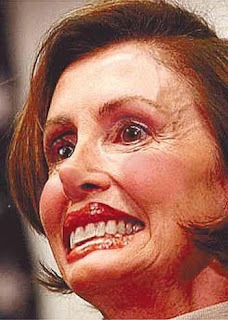 Yes, I am absolutely sure they meant Pelosi!! 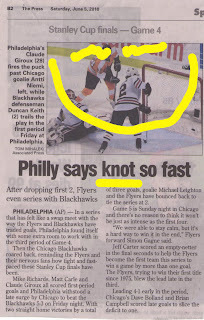 Knot knowing much about hockey, I'm knot entirely sure this is a Spelling Disaster. 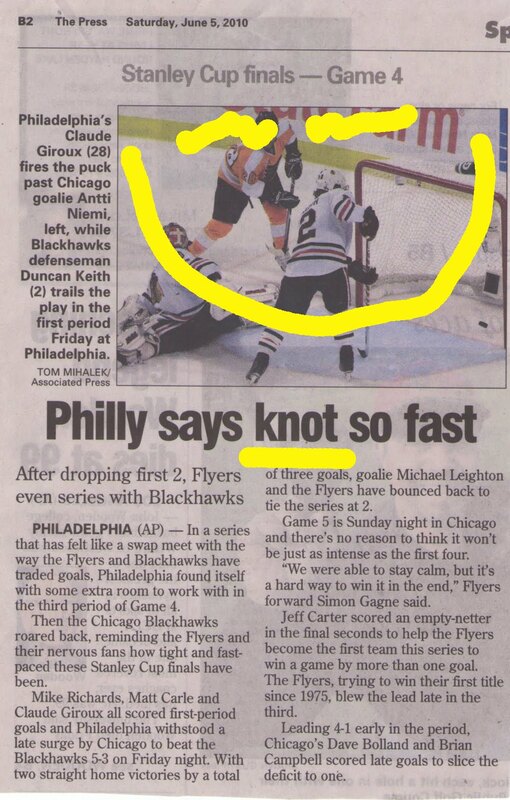 But reading and rereading the article makes me believe it's knot knot a SD. I think the headline creator had just finished tying up his boat when he was called to duty to create a catchy line about the Stanley Cup Finals. He had knautical* on the brain!! How 'bout you? 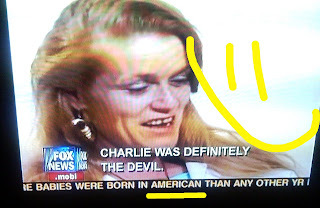 Can you claim to be one of the babies born in American more than any other yr? 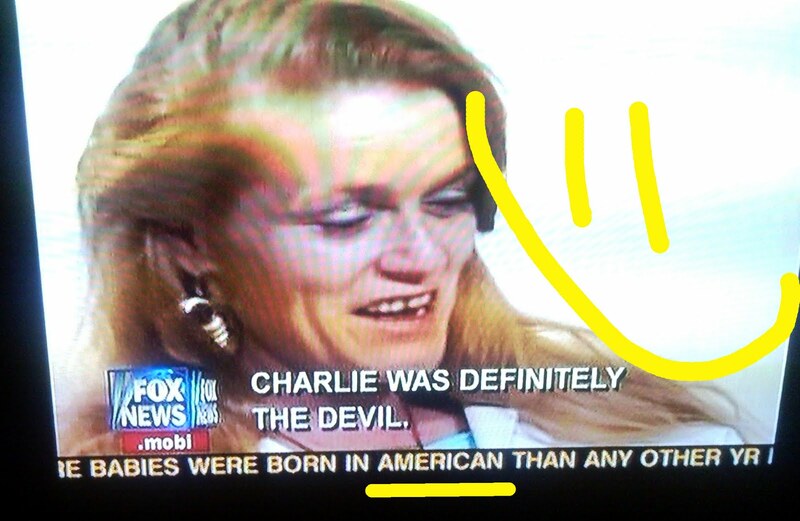 What do you think Charlie would say about that? 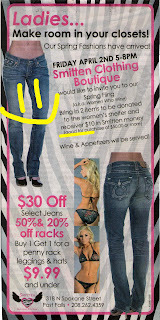 Smitten, a very cool clothing shop in Post Falls, had a little sale back in April where customers would receiver $10 in "Smitten money". I'm sort of sad that I missed receivering that coupon. Maybe there will be other opportunities to receiver a deal. Not a SD. Just Venting. 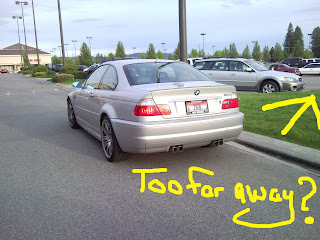 While driving out of the parking lot of the Prairie Shopping Center at Prairie and Hwy 95 in Hayden, ID, my hubs and I were flabbergasted that someone parked in the driving lane to go in to Papa Murphy Pizza, order pizza, wait for pizza to be made and bring said pizza out to car. The sprite yet graying man came out of the pizza parlor while I was taking this pic. He was carrying two (2!!) pizzas. Maybe he didn't think he could make it a few more feet carrying those really heavy large pizzas. 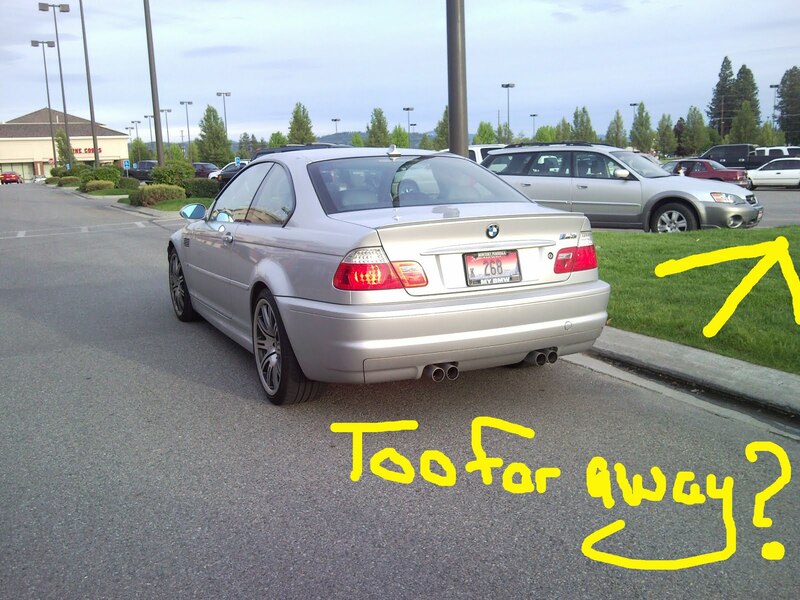 Or he's just lazy and inconsiderate. Been drinking beer with that pizza?? 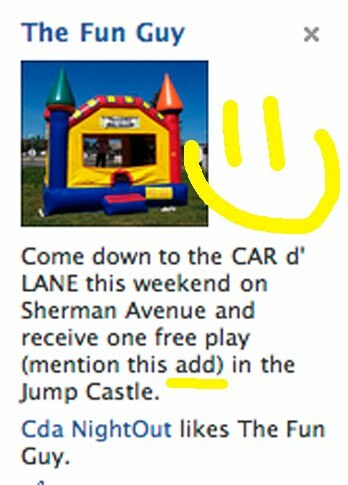 I'm actually pretty impressed that they got the apostrophe correct in this grammatically challenged run on sentence. 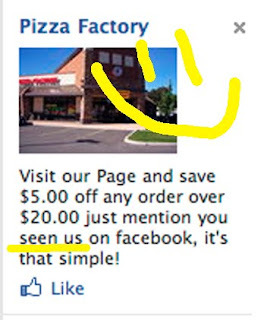 Way to go Pizza Factory! !